This is the first in a series of blog posts based on the themes in the exhibition. The first Yugoslavs to settle in New Zealand are thought to be sailors from the Frigate Novara which berthed in Auckland in 1858. There was then a small influx of Dalmatian migrants, mainly from Podgora, in the mid to late 1870s with many working in the gumfields around Dargaville, Ahipara and Riverhead. In 1903 the first vineyard in Oratia was established by Ivan and Katherine Vella, the first Dalmatians to arrive in the district, and by 1913 they had six acres of grapes. They also grew apples and peaches on the land. 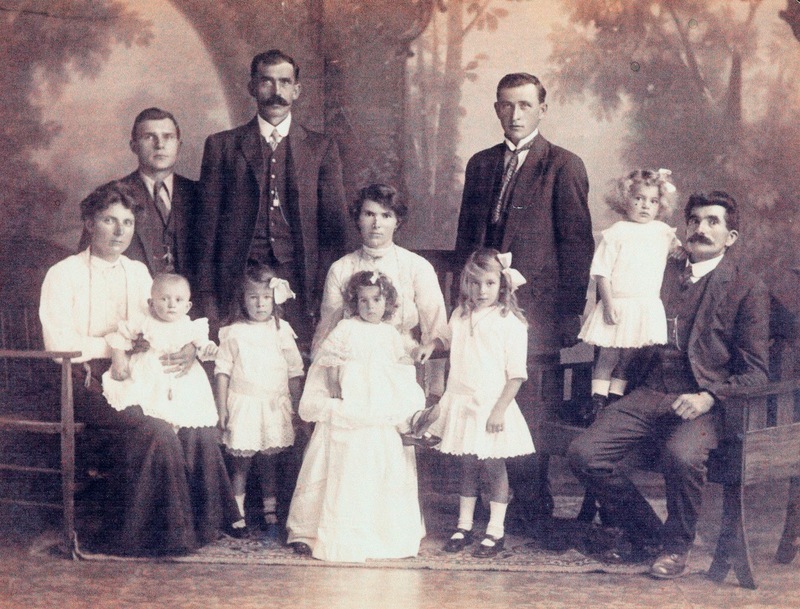 In 1904 Tony Borich, Mate Borich, Jack Sunde and Stanko and Lovre Marinovich bought 160 acres of land in Oratia. Ref: Lovre Marinovich with family and friend, West Coast Road Oratia. West Auckland Research Centre, Auckland Libraries. DGHS Collection. Others were to follow in setting up vineyards and orchards in Oratia, including the Glucina, Nola, Yukich, Vranjes, Dean, Thomas, Simich, Fistonich, Vlasic, Erceg, Botica, Urlich, Sumich, Juretich, Sapich, Talijanich, Vitasovich, and Dragicevich families. 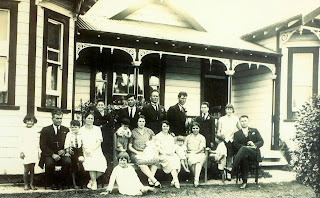 In 1924 a co-operative packing shed, which doubled as a community hall, was built on the site of the present Oratia Settlers Hall. This was used until it burned down in 1927. Dalmatian settlers also built the church of St Cyril and Methodius on West Coast Road on land donated to the Catholic Diocese of Auckland by the late Ivan (Jack) Sunde. By the 1930s around 90% of the lower flanks of the Oratia Valley had been bought by Dalmatians, and their orchards and vineyards were well established. 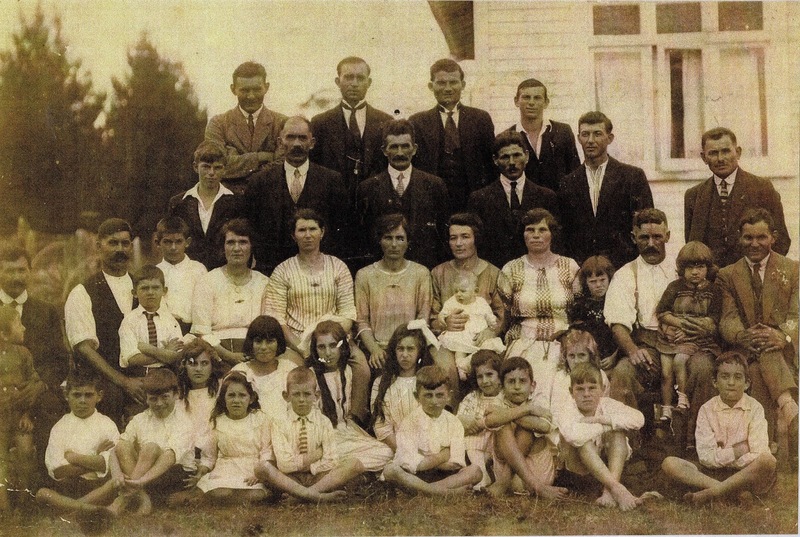 Other Dalmatians set up vineyards and orchards in New Lynn, Henderson Valley and Lincoln Road, Swanson, Kumeu and Taupaki including the Sokolich, Fredatovich, Soljan, Sinkovich, Mazuran, Babich, Bilich, Farac, Ujdur, Selak, Yelas, Brajkovich, Yukich, Fistonich, Jurakovich, Matijevich, Papa, Piskulic, Posa, Lovich, Sparlich, Yelash, and Weza families to name just a few. Ref: Early Dalmatian settlers of Oratia and Henderson, c1925-1928: Babich, Balich, Borich, Glucina, Marinovich, Sinkovich, Rakich and Ujdur families. West Auckland Research Centre, Auckland Libraries. DGHS Collection. Other notable Dalmatians in West Auckland include Martin, Ivan and Baldo Bilich who were the first to be associated with Lincoln Road when they came to dig gum on a block of land leased from the Hudson and Thornley families in 1903. Martin Bilich was the first person to export Golden Delicious apples to England. Another notable resident was Steve Ozich, a Henderson real estate and taxi agent, who owned land in Lincoln Road and in 1931 bought The Falls Hotel in Henderson and renamed it Central Private Hotel, running it as a boarding house. He was a foundation member of the Henderson Bowling Club in 1926. 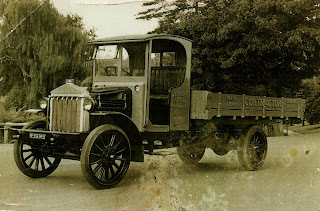 Ref: One of Bogoslav Sokolich’s fleet at his Fruitvale Road, New Lynn depot, late 1910s. West Auckland Research Centre, Auckland Libraries. DGHS Collection. Bogoslav Sokolich invested in a 20 Acre block of land in Fruitvale Road in 1920. In 1922 he bought his first truck, which launched B. Sokolich Contractors, the first in the district. His fleet grew to 6 in the 1930s carting stone, metal and gravel for road works in the district. The Dalmatian women, many of whom followed their husbands to New Zealand, worked as hard as the men. They raised their children and cooked, cleaned and worked on the land in the orchards and vineyards. Assimilating into a vastly different country from their homeland must have been difficult with the language being one of the hardest aspects to deal with. The children were bought up to be bi-lingual though the Dalmatian language was usually spoken in the home. Ref: Back row: Hubert Borich, Ivan Nola, Joze Borich, Luka Bebich, Chedabor Borich, Josephine Borich. Front row: Amy Letica, Adam Letica, Miro Letica, Nede Letica, Duje Nola, Zvijezda Nola, baby Mary Nola, Antica Borich, Fortuna Bebich, Anica Bebich, Nick Bebich, Filip Vela. Sitting on grass: Elvira Letica. West Auckland Research Centre, Auckland Libraries. DGHS Collection. 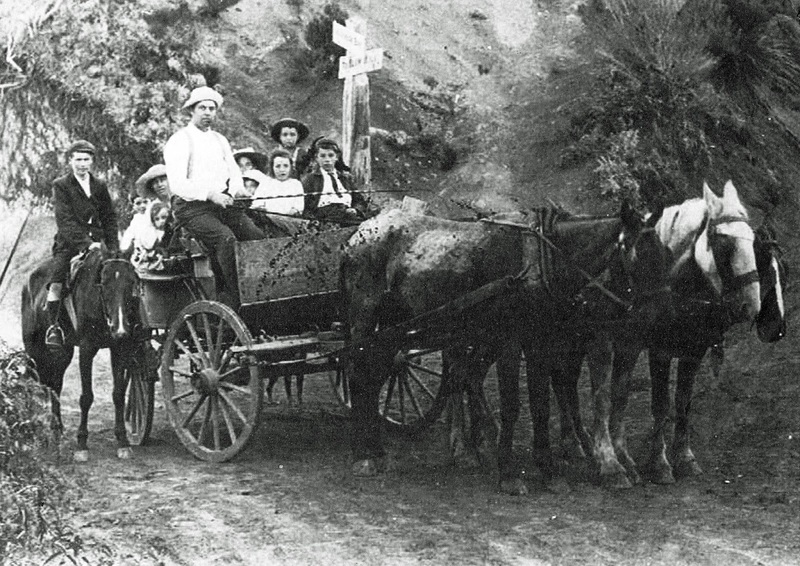 The West Auckland Research Centre has recently collaborated with the Dalmatian Genealogical and Historical Society to help digitise materials and thus increase visibility of the history of Dalmatian migrants to New Zealand. To see the results of this collaboration go to Local History Online and perform a keyword search for ‘Dalmatian’. Raewynn this is a good blog with good information. Fantastic article. I love reading about my heritage! I did notice a small error in the dates. I can only correct the dates for my side of the family. Bogoslav Sokolich was my Nana's father. He invested in the 20 acre block of land in 1820 not 1920. Any dates relating to this should be in the 1800's not 1900's. Thanks very much for commenting Rochelle :-) I've alerted the author.